Incorporated in 2009, the American Board of Optometry (ABO) oversees the process for board certification of optometry. 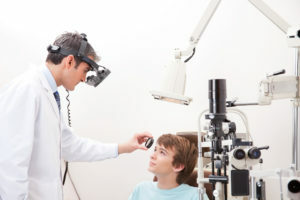 Board Certification and Maintenance of Certification for optometry is a means of demonstrating ongoing clinical competence independent of established licensing and regulatory boards. Board Certification does not confer legal qualification, privilege or license to practice optometry. Click here to view the American Board of Optometry’s bylaws. Click here to view results of the American Board of Optometry’s inaugural Diplomate Survey. On December 31, 2012, the National Commission for Certifying Agencies (NCCA) granted accreditation to the American Board of Optometry (ABO) board certification program for demonstrating compliance with the NCCA Standards for the Accreditation of Certification Programs. NCCA is the accrediting body of the Institute for Credentialing Excellence (formerly the National Organization for Competency Assurance). The NCCA Standards were created in 1977 and updated in 2003 to ensure certification programs adhere to modern standards of practice for the certification industry. The ABO joins an elite group of more than 100 organizations representing over 250 programs that have received and maintained NCCA accreditation. More information on the NCCA is available on the organization’s website. American Board of Optometry Diplomates serve patients all over the country. 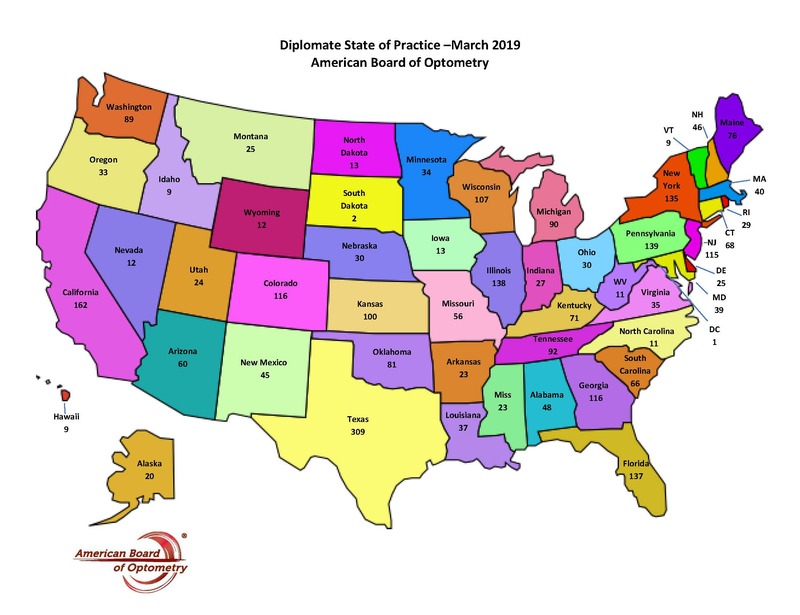 Click here for a map showing how many practice in each state.